Professor Irena Valantine has PhD diploma in Social Sciences (Lithuanian Academy of Physical Education, Lithuania). 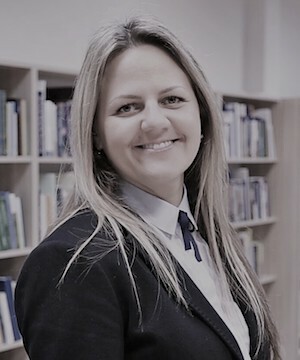 Currently is the Executive Board Member of European Association for Sport Management, Head of bachelor study program “Sport Management” (Lithuanian Sports University) and Head of master study program “International Basketball Coaching and Management” (joint program with Faculty of Kinesiology, University of Split, Croatia). From 2016 is the Head of the international research group: Sport and Leisure Management. Teaching subjects: Sport and Tourism Management, Sport Events, Leadership, Integrated Business Case and Organizational Development. As a researcher works in 5 Erasmus+ projects: “Sport Against Violence And Exclusion / SAVE”, “A Serious Game Approach In Mitigating Performance Enhancement Culture In Youth/GAME”, “Build Opportunities For Nourishments By Doing Sports/BONDS”, “Athletics For Young And Teachers All Over Europe/AYTOE” and “Athlets Learning Entrepreneurship – A New Type Of Dual Career Approach/ AtLETyC“.